If you wish to customize default texts on your website or the wording of a button you can customize the wording using the Custom Translation Tool in your Advanced Settings. In the tab Advanced, under Custom Translation click Customize texts. Type in a search word to find the text or button you would like to change. Once you are sure you have found the correct string, click the little Pencil icon next to the word in the respective language, change the text and then click the Tick button. 💡 Note: Please make sure to make the changes for all active languages. Enter your Custom Translation Tool as described above. Search for the keyword Misc. Charges. Click on the little Pencil Icon to change the name. Change the name in all your active languages and in all sections necessary (i.e. 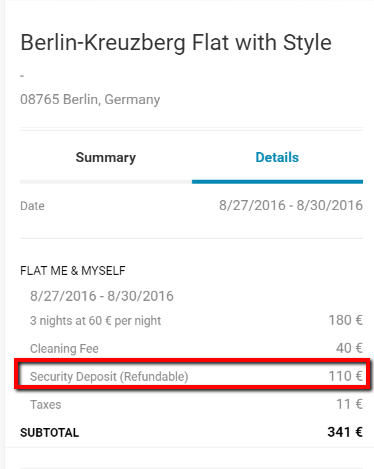 in this case, we want to change the description not only in the Rates Section but also in the Checkout Summary). Click the little Tick Icon to save each change. The changes will now be shown as modified. 💡 Note: If you are using special characters (e.g. ä, ü, ô etc. ), tick the Html box to show those characters correctly. Publish your changes so they will become visible on your website. Bear in mind that custom translations won't be visible in your backend, only on your website.